Phone cameras have gotten surprisingly capable over the past few years. And each year, smartphone manufacturers are bringing new innovations that keep pushing the bar higher. If you are looking for a device that can capture great photos regardless of the shooting conditions, and that too without requiring you to lug around a heavy camera, then you’re at the right place. Let’s take a look at some of the best camera phones money can buy. Google’s Pixel lineup has been the undefeated king in the camera department and this year is no different. There’s a lot to know about Pixel 3 and 3 XL’s cameras rather than just raw specs. Both of these devices come with a similar camera setup featuring a single 12.2MP rear sensor with an aperture of f/1.8 and support of PDAF and laser autofocus. The front has dual 8MP shooters, one of which is an ultra-wide sensor with an aperture of f/2.2, helpful in taking wide-angle selfies. 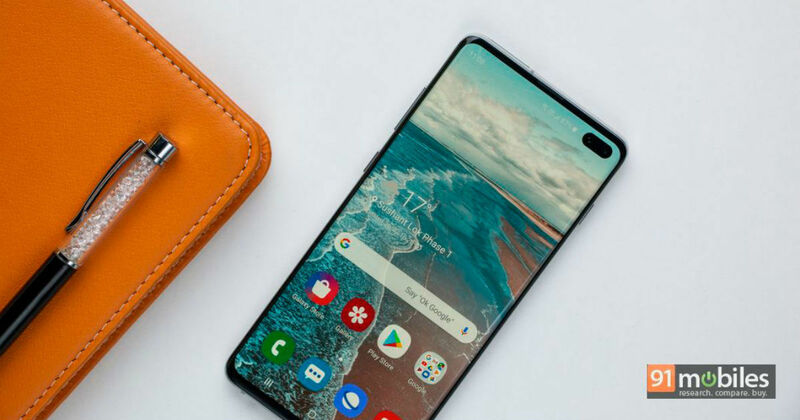 Google has also loaded its camera with some impressive features such as the Night sight mode which enables you to take pictures even in dim conditions. Then there’s Super Res Zoom mode, which enables you to zoom in on to the subject without losing many details. The latest flagships from Samsung — the Galaxy S10 and Galaxy S10+ come with triple-camera modules. The Samsung Galaxy S10+ also happens to be first-ever Samsung smartphone to top the DXOMark benchmark along with the Huawei Mate 20 Pro. In terms of the specifications, both the Galaxy S10 duo flaunts a triple-camera array on the rear with 12 MP + 12 MP + 16 MP shooters accompanied by an LED flash. On the S10+, the selfie department is handled by 10 MP + 8 MP shooters sitting in the display piercing on the front. The smaller Galaxy S10 on the other hand, comes with a single 10MP snapper at the fascia. Samsung has equipped the cameras with features like dual aperture, Ultra Wide, Super Slow Motion, Scene Optimiser, Shot Suggestions and more. Apple’s latest devices boast powerful dual rear cameras. The camera specs are similar to last year’s iPhone X with the rear panel sporting dual 12MP cameras with an aperture of f/1.8 and f/2.4, respectively. For selfies, there’s a 7MP camera on the front. These snappers impress in all conditions with improved low-light performance and also make use of the phone’s HDR capabilities. Portrait shots are where these iPhones excel, for the shots are crisp and edge detection is perfect. You can also adjust the background blur after taking the shot. The Samsung Galaxy Note 9 is probably one of the best devices that have launched in 2018, and offers powerful shooting capabilities. The Note 9 comes with a pair of 12MP shooters on the rear. The camera comes with a variable aperture which can open at f/1.5 or f/2.4 depending upon the ambient lighting conditions. Furthermore, the AI-backed cameras detect different scenes and adjust the white balance and colour saturation accordingly. Along with 4k videos, the smartphone can also shoot slow-mo clips at 960fps. The device sports an 8MP selfie shooter. This was one of the most awaited devices last year, thanks to its triple rear cameras. The phone features a 40MP f/1.8 RGB camera, a 20MP f/2.2 ultra-wide sensor and an 8MP telephoto lens which allows it to capture pictures at 3x zoom (and 5x hybrid zoom). The fascia features a 24MP camera which takes great selfies with a good level of details. The Mate 20 Pro is touted to take great pictures in poorly-lit conditions as well. There’s also Master AI mode which ensures that the phone can capture best images as per the scene. OnePlus has been known to deliver flagship specs at almost half the asking price of flagships. The upgraded OnePlus comes with similar hardware as seen on its predecessor — the OnePlus 6 (review) — but it has made some improvements on the design front. It comes with dual rear cameras of 16MP + 20MP, with both of them having an aperture of f/1.7. For selfies, the handset features a 24MP shooter on the front. The smartphone also comes with a Nightscape mode to enhance images taken in dim environments. The G7 Plus ThinQ features dual 16MP cameras, one of which is a wide-angle sensor which helps you cram more in a particular shot. You can easily switch between the normal and wide-angle mode with a single tap. The front comes with an 8MP shooter with an aperture of f/1.9. Along with stills, the LG handset is also known for its video prowess as it comes with a number of features such as Cinemagraph, slow-mo and more. Xiaomi took everyone with surprise with the launch of extremely affordable POCO F1 packing Snapdragon 845 chipset under its hood. The smartphone also has impressive cameras, with the rear featuring dual cameras consisting of a 12MP f/1.9 shooter and a secondary 5MP sensor with an aperture of f/2.0. As far as the selfie camera is concerned, the F1 offers a 20MP sensor. The smartphone has also got an update recently offering camera-centric features like the ability to capture slow-mo videos at 960fps and super low-light mode. Along with being the debut handset in Xiaomi’s Redmi sub-brand, the Note 7 Pro brings forth some serious imaging credentials. It’s among the most affordable smartphones to feature a powerful Sony IMX586 sensor which comes with f/1.79 aperture and a 48-megapixel resolution, and is paired with a 5MP snapper on the back. For selfies, the handset offers a 13MP shooter on the front. For low-light imaging, the device makes use of pixel binning to combine four pixels into one, resulting in a 12MP picture that has better details. Like most smartphones these days, you also get AI capabilities as well as the ability to shoot up to 4k videos. These are the top camera phones in India right now. Do you own any of them or plan to get one of these in the near future? Let us know in the comment box below.